We have published a post about Free eCommerce Platforms some time ago. Some readers suggested that we can make a post for premium eCommerce platforms as well. Here we have done a comparison of some of the most notable shopping cart software packages available. I’m very aware that this is an incomplete list, and I plan on doing further research and posting eCommerce shopping cart reviews in the future. Until then, I hope this limited information helps send you in the right direction. Here you go, the Best Premium Shopping Cart Solutions Comparision. 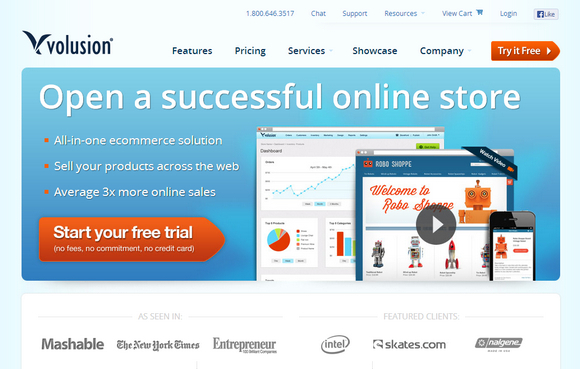 Shopify is a complete ecommerce solution that allows you to set up an online store to sell your goods. It lets you organize your products, customize your storefront, accept credit card payments, track and respond to orders — all with a few clicks of the mouse. The Shopify Theme Store hosts a collection of over 100 premium and free ecommerce website templates as well. Every website template comes with its own settings so you can quickly and easily customize your website’s design. 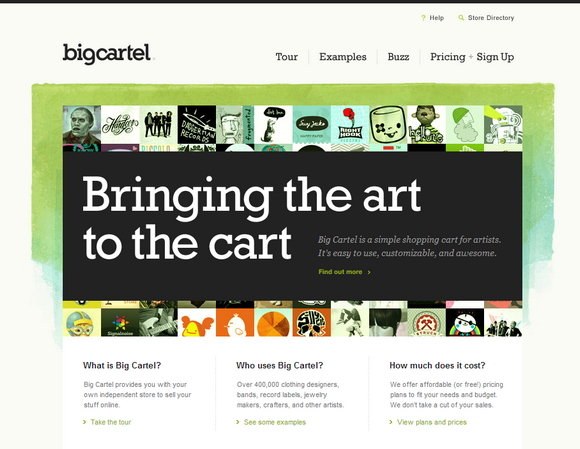 Big Cartel is where artists set up shop. They provide clothing designers, bands, jewelry makers, crafters, and other artists with their own customizable store to sell their stuff online. You can pick one of the beautifully designed, pre-made themes and easily customize the images, colors, fonts, and more using the simple controls. You can also add your store to any Facebook page and connect your fans to your products through the seamlessly-integrated Facebook app. 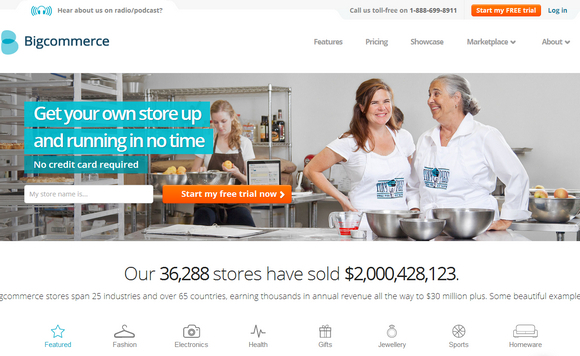 Bigcommerce is a e-commerce website builder is designed to help you sell more. Their search engine optimization (SEO) gives you higher search rankings, meaning more free traffic to your store. You can choose from more than 60 payment gateways like PayPal, Authorize.net and Google Checkout. With discount and coupon codes, social media integration, newsletters, automatically generated customer lists and an abandoned cart saver, Bigcommerce gives you more marketing tools than anyone else. Magento Enterprise Edition is the complete eCommerce solution for businesses that are ready to take full advantage of their online channel. This solution combines an unrivaled feature set with world-class support and virtually infinite flexibility. Magento Enterprise Edition lets you customize the look, feel and functionality of your site to reflect your brand’s personality. Seamlessly integrate third-party tools and applications to meet your unique business requirements. And take advantage of Magento’s intuitive administration interface to easily update and refine your site as your needs evolve. 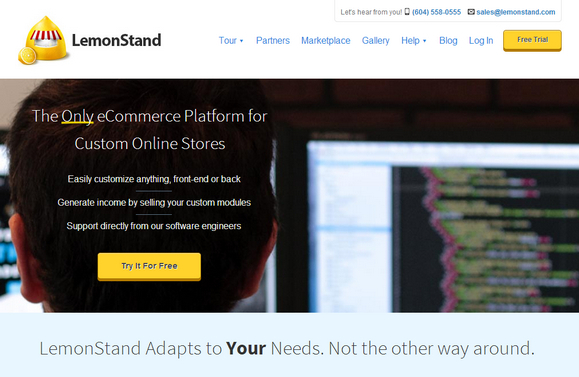 LemonStand is a complete eCommerce platform. It’s built using PHP, MySQL, AJAX and other technology standards. It’s main selling point is allowing total flexibility to web developers and designers. Aside from that it’s easy for anyone to use, seo optimized and performance optimized. LemonStand can also be extended to allow almost any functionality. Since 2000, the AmeriCommerce shopping cart software is built on the concept of marketing performance, ease of use, and feature rich customization. AmeriCommerce provides their customers with everything they need to design and operate multiple online store websites, Facebook stores and mobile stores. 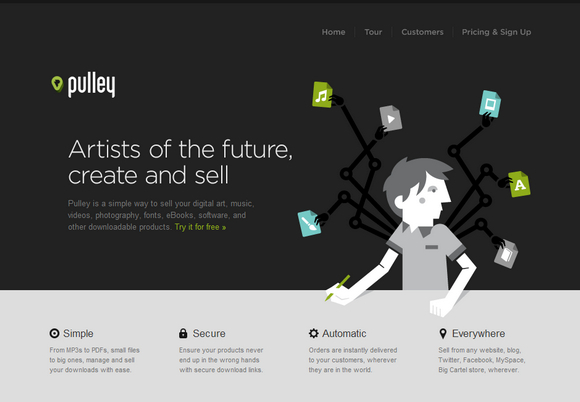 Pulley is a simple way to sell your digital art, music, videos, photography, fonts, eBooks, software, and other downloadable products. You can ensure your products never end up in the wrong hands with secure download links. Orders are instantly delivered to your customers, wherever they are in the world. You can sell from any website, blog, Twitter, Facebook, MySpace, Big Cartel store, wherever. Volusion has been the answer for over 40,000 entrepreneurs looking to sell online. As one of the only PCI Certified ecommerce software solutions approved on VISA’s list, you know that your business is always safe. 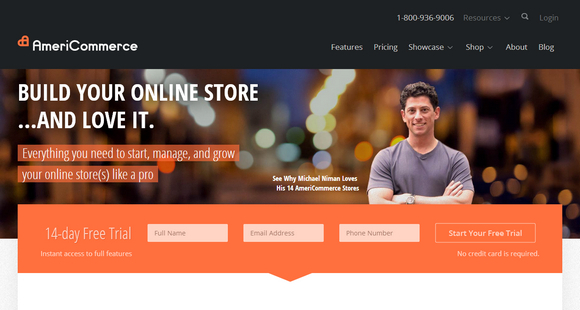 The experts at Volusion create all the tools you need to build, manage and grow your online store. With a toolbox of hundreds of features at your disposal, you decide what best meets the needs of your online store. 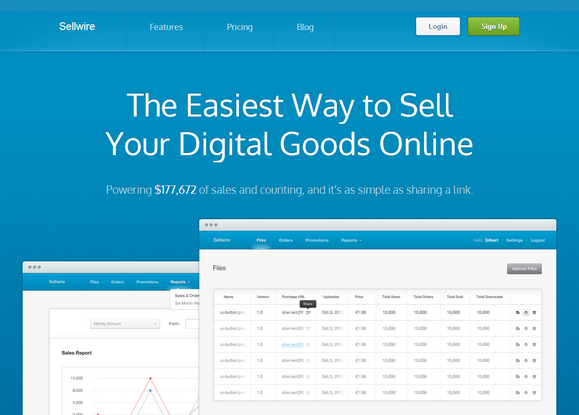 Selling digital goods? Need to send those digital files to your customers instantly after they make a purchase? Quixly automatically integrates with your PayPal & Google Checkout accounts and makes delivering your files to your customers a snap. 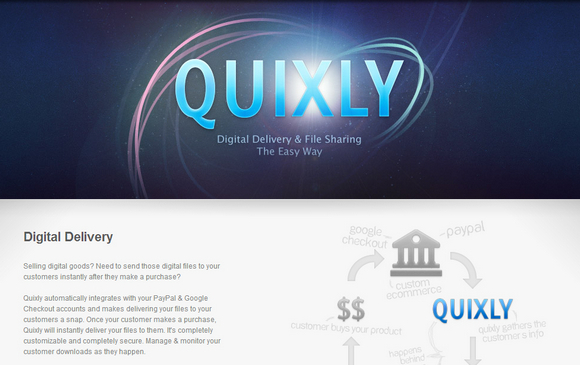 Once your customer makes a purchase, Quixly will instantly deliver your files to them. It’s completely customizable and completely secure. Manage & monitor your customer downloads as they happen. 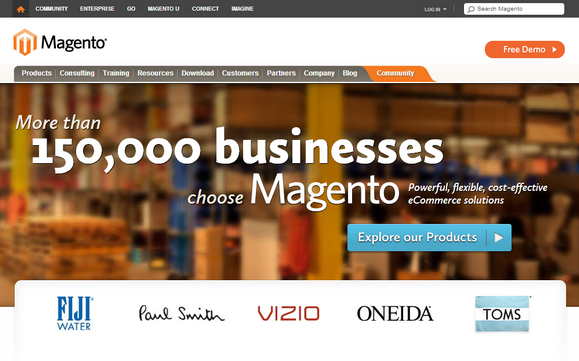 Already have your own custom e-commerce solution? You can still use Quixly to manage & send your files to your customers. Our secure API makes integration easy. Most people use Sellwire to sell things that they’ve made. These include plugins, scripts, ebooks, songs, videos, photos, and other things. Anything that you can “upload” as a single file you can sell. Currently they support PayPal and Stripe as payment processors. This means that you can create files and accept payments in over 24 different currencies using PayPal, and accept credit card payments from all over the world using Stripe. All you need to get going is a PayPal or Stripe account. Agree with @Letusak:disqus , surprised http://www.create.net isn’t on this list. If you genuinely review features, It’s a great piece of kit that makes it really easy to build an e-commerce site at a very good price. I agree, but not just that. The ease with which a developer may change the front end is also important. Some of the above systems make it very difficult to output desirable markup and the result is poorly built stores with low SEO potential. We (FoxyCart) think the backend should be handled by professional inventory management and fulfillment systems, not a “one size fits all” shopping cart. Shopping carts should be built to integrate, not trying to solve every problem for every business the same way. There are several Shopify styles and various personalization choices. 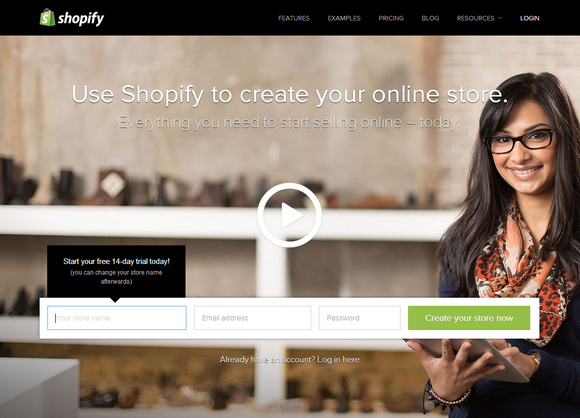 Shopify looks fashionable, fashionable, incredibly relaxed and complete of awesome functions. Easy to understand guidances and magicians make the installation very simple in use. However it does not have a stay talk assistance. At the other side – Volusion provides great CEO marketing., comprehensive function set. This purchasing system allows you to develop an e-store without understanding any programming at all. good to know from above list, its really easy to build e commerce’s site and the prices are also fair.. Thanks. i will order it. Also, I’ve been using x-cart for few years now and find it excellent. The templates use Smarty so there’s tons of good documentation out there. Also, their technical support is very responsive and reasonably priced.